HomeCinemaMasalaImran-Kangana faced ups and downs while filming for Katti Batti. 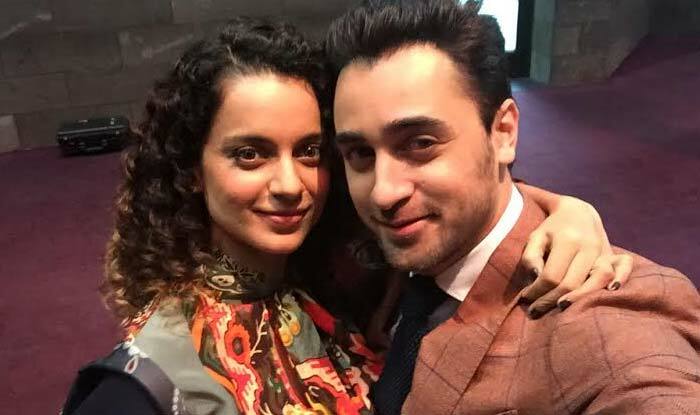 Imran-Kangana faced ups and downs while filming for Katti Batti. The Katti Batti couple Imran Khan and Kangana Ranaut had suffered injuries while filming for a comic fight scene in the film. The light hearted scene got serious as Imran acquired cuts on his hand. The comic fight scene in the film required Imran to climb up a fountain, this ended in the actor suffering minor injuries on his hands. The injuries not being major, Imran continued filming throughout the day. This particular scene also required a sequence in a water fountain which was full of chlorine. Both the actors had to be drenched entirely in chlorine water. After shooting for the scene a couple of times, the actors were not only covered in the chemical but also smelled of it. The entire team along with Irman & Kangana had a good laugh over it. Just like the ups and downs on set, Katti Batti is to showcase the journey of Maddy and Payal who face ups and down in life. Katti Batti is all set to release on 18th September, 2015. SANDRA BULLOCK’S NEW GUY: HOW LUCKY CAN A GIRL BE? Sources confirm Faisal Saif in Bigg Boss 9!